In our previous article, we discussed effective Classic 1v1 builds for Balance and Ice, Now we’re back with another one… This time, Turn-Based Tournaments! Turn-Based is a relatively new addition to the game. Regardless, Ice is already recognized as one of the most formidable schools in this tournament style. Given the new dynamic of turns, Ice is essentially able to “go first” every round. This makes strategy much simpler. The other top-tier school for Turn-based is Balance. With spells like Mana Burn and Supernova, cutting your opponent down to size is a piece of cake! 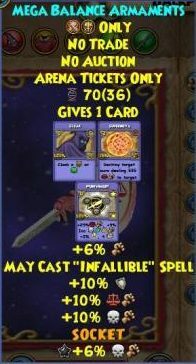 I use a very complicated and hard to get pet, but anything with MC Infallible and damage works. The preferable pet for this strategy would be a Flamenco Tocador; for the Availing Hands cards it gives. 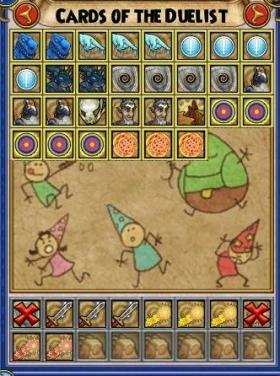 The basic concept of turn-based tournaments is blade stacking. Blade stack frostbite, blade stack Winter Moon, heck; even an Arcticzilla works. 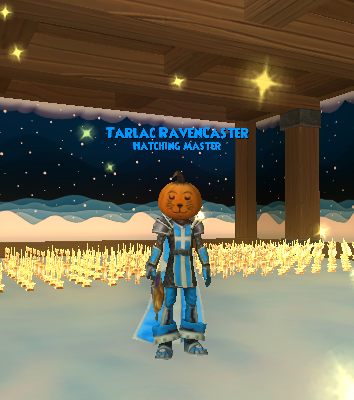 Though the tried and tested bladed Lord of Winter into a Winter Moon works just as well, too! Summon your beautiful minion as fast as possible, much like in Classic. His job is to keep shields off your opponent while you blade. If there is no minion among your first seven cards, use an Iceblade. Make sure to keep at least one Global up and one in hand at any given time. If your opponent summons a minion, use Snow Angel. Not only does it do massive damage, but it also takes out their minion as well. At times it is a risky move; you could have the overtime shifted back onto you. When you have three blades or more and your opponent doesn’t have any Stun Blocks, you can use a Winter Moon; because why not? It’s damage your opponent would have to heal off. More often than not, I find myself either Snow Angeling or Frostbiting into a Winter Moon to wrap up the game. Your goal should always be to try and end the matches as quickly as possible. Don’t give your opponent the chance to counterattack. 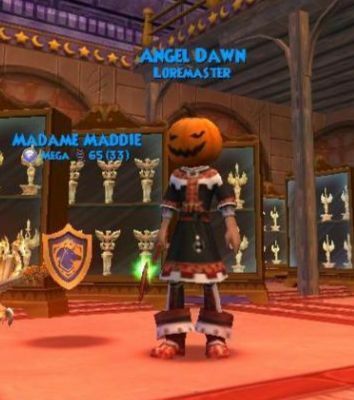 Grandmaster doesn’t have the surplus of health seen at higher levels, so a bladed high-damage DoT like Frostbite or Angel can do massive damage. Even if they remove the overtime, it usually leaves them open for a Winter Moon or Arcticzilla to clear out whatever health they might survive by. 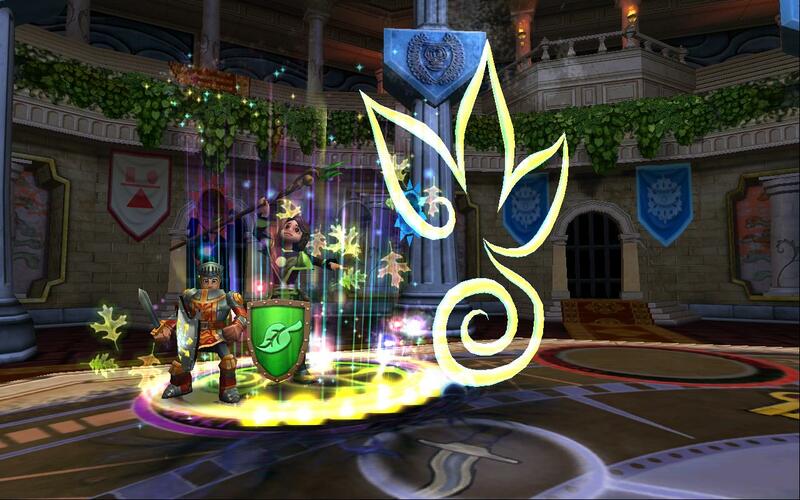 Balance has great time in Turn-Based, with spells like Loremaster and Mana Burn at our disposal. We usually freeze the opponent’s offense and turn it around. Mana burn will destroy your opponent’s pips. As such, you don’t have to worry that they’ll use them just as you cast it. I run a more offensive build under the theory: If they’re healing; they aren’t hitting. Most of my matches are against slower-paced grandmasters used to the heal-and-shield spam defensive playstyle commonly used in Ranked PvP around this level range. This means that they carry larger decks. This hampers their ability to draw what they need when they need it. 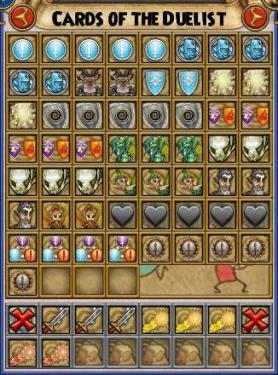 I operate a control build; few heals and shields, and a small to medium sized deck. The one sacrifice in my Sideboard is simply to remove stacking Feints or perhaps an Efreet debuff. I usually start off my matches by dressing up my opponent with Weaknesses (Loremaster, regular, TC) and Infections. This discourages both aggressive and defensive play. After all, who feels comfortable being unable to remove negative charms? Then I gradually increase the tempo of the match. I kill their minions with Deer Knight (for the shield-removing overtime) and encourage defensive play by restricting them from their usual high pip cost combos with Mana Burn. If they take a very defensive stand and start shield spamming, Deathbat -easily the best TC I carry- is your friend. Once your opponent’s health is slightly lowered by the Mana Burns and Lorematers, toss a Doom and Gloom. It’s particularly effective right after Mana Burn. Your opponent won’t have the pips to start recovering their health. After that, the large amount of Headless, Loremaster and Deadly Minotaur will easily clear out the rest of their health. Remember to keep a Doom and Gloom in hand. This is in case your opponent tries to change the Global and undo all your work. 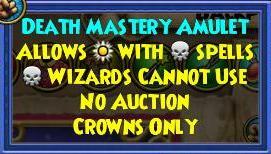 Things to think about: Balance has many underrated spells. Amongst these primarily are Hydra and Sacrifice Minion. Both of these offer an unconventional way to get an ordinary job done. 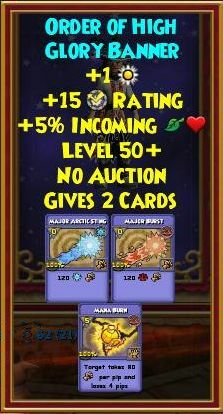 One of my personal favorite spells, Deathbat, is fairly rare and requires a lot of time spent in the Bazaar with Elik. A much less effective alternative — Fire Elf — could potentially be used instead. In normal situations, you’ll be playing the same as every other Grand Ice: Seraph on minions, blade stack, Frostbite into Lord of Winter or Winter Moon. Those ideas are tried and trusted and can prove sucessful for new Thaumaturges. 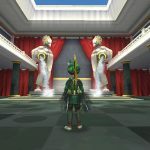 After all, repetition helps solidify strategies that can hold up over long spans of PvP history. 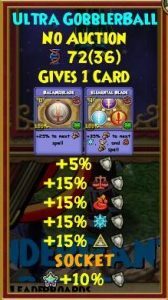 Against a usual Ice, you can feel free to save your pips for your heals while they endlessly blade stack and try to one-shot you with their weaker-than-average spells. Boring. Nothing else, just straight up boring. You know what to expect out of them then, yeah? You want to make sure you can get Infections onto them and Weaknesses as well – as many debuffs as possible before you start actually punishing them. Your goal: giving your opponent too much to respond to at the same time. Meanwhile, you’re able to Iceblade here and Elemental Blade there and when you’re ready, you can Frostbite their shields and Winter Moon. Most Ices play slowly, blading up before attacking. This is their downfall while facing Balance. Most Ice wizards are easily discouraged by early aggressive play by a large amount of weaknesses. This gives you time to Mana Burn them before they get any threatening ideas. I like to wait until I have at least two Infections on the Ice before going offensive. Since most of them can heal out of just one heal debuff. In principle: Infection and Weakness while striving for pip control. 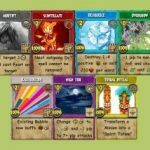 Against Balance in turn-based tournaments, you’re going to want to be wary of certain spells that will make your tour fight all the more unpleasant. Things like Mana Burn are all too common, so be careful if you play slow and build pips. Ice CAN best Balance if you can play through interruptions, like Supernova and Mana Burn -as well as the good Balance’s habit of stacking an unhealthy amount of Weaknesses. Don’t mind the Infections, though; remember that you’re trying to kill them before they can settle in and wear you down. Put up a bubble, but don’t stress about keeping too many readily available, they don’t often change them unless they’re jading (sanctuary) or playing damage (doom). Put your bubble up early, blade, and start putting dots on them as fast as possible. 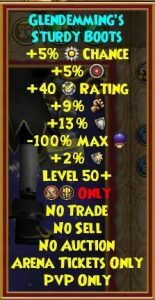 A neat little trick I always try to do is carry Imps if I’m going Life Mastery (to take off stacked weaknesses and also good for dispels). With that in mind, take off what weaknesses you can, but if you can’t: blade through it. Balance on Balance matches can either be very slow paced or decided within the first few rounds. Slow-paced matches are very similar to Balance v. Jade Lifes, however fast-paced ones are more comparable to Balance v Storm. 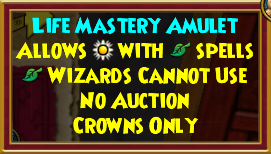 Everything depends on their mastery amulet; if they’re using a Life Mastery amulet; make sure to Infection a few times before going in for the offensive, you really don’t want them healing all your damage off with a Satyr or two. 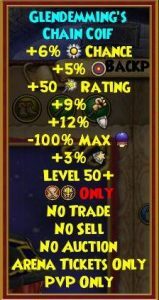 If the offending Balance is using any other amulet, you don’t have to worry as much about them healing everything away. Availing and Helping Hands offer a good, but slow, overtime heal that can easily be countered with one or two Infections and together with TC Sacrifice, they don’t really offer efficient healing for defensive play. When I play against another Balance with Loremaster, I often spam Weakness and Tower Shield until I can control their pips enough with Mana Burn for me to consider going in for the kill with a Deathbat combo. Against Myth. It’s excessively hard to keep pressure if you’re being either Earthquaked and Aftershocked or even better, Shifted, every time you try to take an offensive stance. The easy way to counter this is by hitting with 1-2 blades, not blade stacking to keep Earthquake as an unappealing option for the Myth. 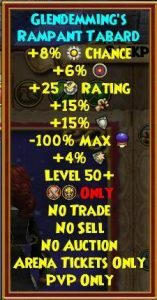 Myth lacks low-pip and even-pip cost spells, making it a hard school to maintain pressure from. Regardless, a bladed Orthrus is still a huge threat, as are the plethora of higher-pip cost combo spells which, if not properly countered, can mean a rapid end to the match. 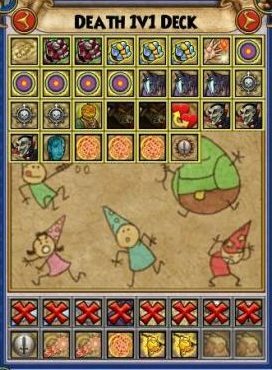 The best way to counter Myth Wizards is by stacking debuff charms, like Weakness and Infection, to prevent them from either playing too aggressively or defensively and keeping them in an uncomfortable medium, trying to remove your debuffs and heal off the damage of Loremaster through Infections. I’ll stack Life and Death side-by-side here because in Turn-Based, they play roughly the same at Grand. Both schools will try to bubble war with you, both schools will try and take advantage of your low damage and try to manipulate both the timer and debuffs in their favor. Against both, you’re going to need max minion coverage and max globals present. Both of these Spirit Schools are going to want to keep their respective bubbles up to try and either apply pressure or relieve pressure. You’re going to need Seraphs and Imps for both – the 4 pips for killing minions and the 1 pip for removing weaknesses and plagues as well as dispels (both regular and Virulent because death loves to weakness every chance they can). Generally, you’ll be able to blade more effectively than they and either force a Diego decision or win by “outright triumph”. Life has a lower than average damage output and will generally try the jade strategy that some deaths also use, but a forceful head-on battle plan counters it. Against an aggressive death, rare as they are, don’t summon minions and focus on attacking instead. That’s about the only difference as a skilled aggressive death will rely on killing your minions for the drains since they’re not going to be wanting to spend as much time using Sacrifice. Balance’s strategy for facing Life and Death is drastically different. 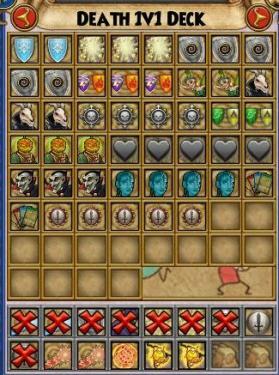 Death’s potential damage output, as well as their unique healing methods make weakness spam or Doom and Gloom not always the best option. Beware of spells like Vampire that they can use on your no-resist minion to get more health back, Infection a few times and keep applying steady damage early on. You should be hesitant to play doom. Many Death wizards feel much more confident playing under doom *looks at Jeremy*. Whereas against Life, you can face two distinct strategies: offensive and jade. The offensive lifes will blade, Infallible, and hit; attempting to defeat you. Meanwhile the jade lifes will heal spam, occasionally hitting, and often wearing set ward pets in tournaments. The first are by far the harder fight; the only thing saving your “small” 40-ish resist are the two Dream Shields in the main deck. It’s crucial to not use it before they have more than two blades. Set Life Shields aren’t something many Lifes prepare for and often choke them. Little but the speed in which you want to find a Dream Shield changes between those strategies: You still want to make sure they have plenty of Infections and at least one Doom in hand before going onto the offensive. Until then, Sandstorm, Deer Knight or Vampire any minions and control their ability to hit with crushing high-pip spells like Spinysaur using Mana Burn. Against a Fire, you’re going to be hard-pressed to get an opening. 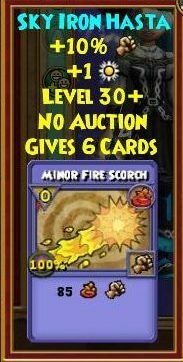 Fire has a lot of utility spells, so you need to handle this as speedily as possible. Keep your heals to a minimum. If you carry Triage, save it for Rampage. Shields do little against Fire due to their holy stock of DoTs so don’t bother too much unless you feel an Efreet coming on. Usually you’ll have a lot of blades before they Efreet. As Balance, Triage isn’t such a necessity if you can stack weaknesses properly to block Rampage. The #1 spell to watch out for isn’t what you’d expect – Burning Rampage – but instead it’s a small 2 (or 4) pip spell called “Power Link”. It has the ability to remove Weaknesses, Infections AND Shields. For only 2 pips, it can wipe what took you 3 or more rounds to do. Crazy. The only downside to this is the Fire loses whatever blades they have on, so wait till they have some blades on before casting various debuffs. Against Storm, unless you’re fighting a Legendary that can critical an Insane Bolt first turn for 100 points over your max health – which has happened to me before – you should be fine. Their health is low, their spells aren’t made for fighting through shields and they don’t have access to a utility spellbook as handy as Ice does. Blade up quickly as you have more health to spare than they do and be sure to come out swinging. If you give them time to blade and Infallible and global, you’re going to be stressing and forced to heal your pips away. But if you’re hitting fast enough they won’t be able to follow-up without dying first. Keep your healing to a minimum and only Satyr once if you have to. Stay courageous and remember their often sub-2000 health won’t last them more than a few rounds. From a Balance’s point of view, matches like this often look like “shield, lore, shield, lore”. It may not sound pretty. 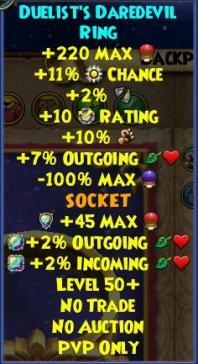 However, especially since Storm wizards don’t often have access to efficient healing, it’s often the most effective. Don’t slack on defense, remember that Insane Bolt hits moon damage and can be stopped with a tower to avoid certain more unpleasantly electrifying moments. Good luck in your Turn-Based tourneys!